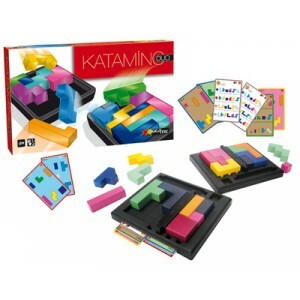 Katamino Duo is a great game for all of the family from the age of 3 up. You can either player solo or as a two player game. Whilst playing the two player game you need to be the quickest player to fit all of your peices in toe playing board The games enables the rounds to become progressivley harder. 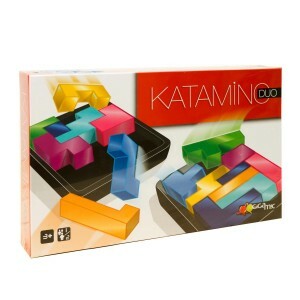 When playing solo you can challenge yourself to find the hundreds of millions of possibilities of different shapes .Katamino Duo comes with Free Delivery.